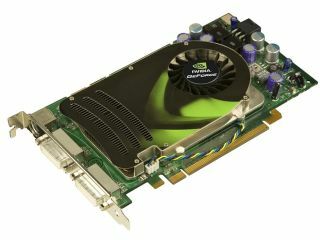 Gaming graphics chip specialists Nvidia has claimed that its technology powers the world's fastest computer in China. SAN FRANCISCONvidia has provided over 7,000 top-end GPUs – each worth around $2,500 - to power the new Chinese supercomputer, called Tianhe-1A. The Tianhe-1A also uses over 14,000 Intel CPUs. The computer has been constructed by China's National University of Defense Technology at the National Supercomputing Center in Tianjin. It has the power of around 175,000 laptop computers, according to Nvidia. (A nice PR line, though exactly which 175,000 laptops it is as powerful as was not made clear!). The Chinese supercomputer has a sustained performance of around 2.5 Petaflops, which makes the machine 30 per cent faster than the world's second most powerful supercomputer based at the Oak Ridge National Laboratory in Tennessee. The Nvidia-powered supercomputer will be used to run simulations in astrophysics, as well as maths-intensive projects in medical imaging, oil exploration and weather forecasting. "If we wanted to grow beyond our traditional gaming market we needed to expand our product portfolio and that's why we made a decision a couple of years ago to invest in making the GPU more programmable," said Ujesh Desai, Nvidia's vice president of product marketing.